The following selected products and projects of those I had been delighted to work on at HP, Global User Experience in 2010-2013. 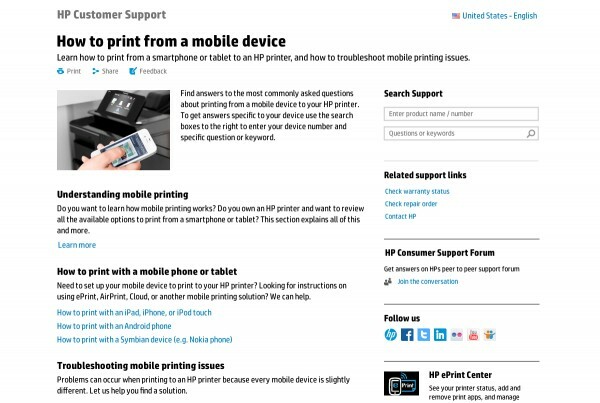 I managed and designed a new series of PC and printer product showcase on HP.com. Instead of focusing of lengthy marketing text and specs sheet, customers were able to understand how technology matters and enables their lives through humanistic photography, meaningful iconography, use of typography, and impactful content strategy. The stories were also translated and localized outside of North America to fit cultural needs based on country/region. 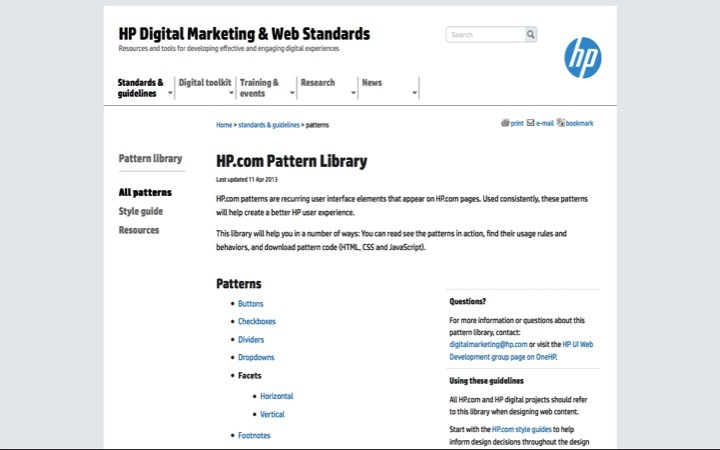 I had the opportunity to lead the design and governance of HP.com UI Pattern Library. Each UI pattern is designed and spec’ed in details and to brand. 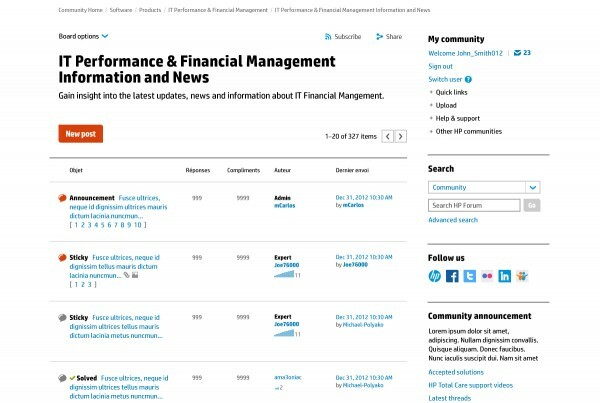 Assets, guidelines, and code are available for download in HP internal website for internal employees and approved agencies. 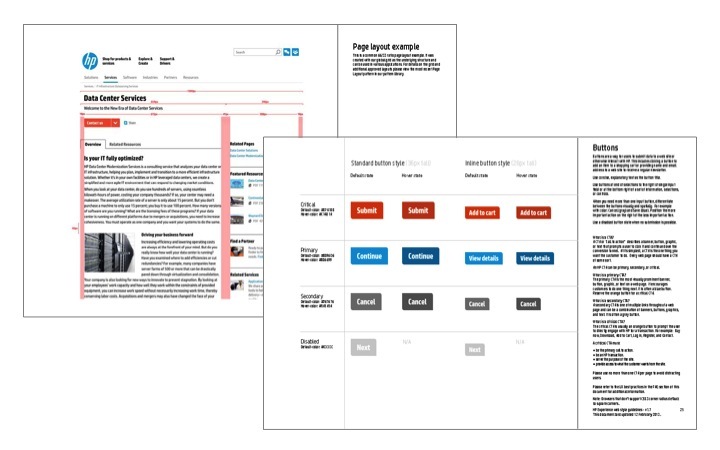 I had the pleasure to lead the creation of HP Digital Style Guide. Brand elements for HP.com used was documented in this style guide and available for internal employees and approved agencies. 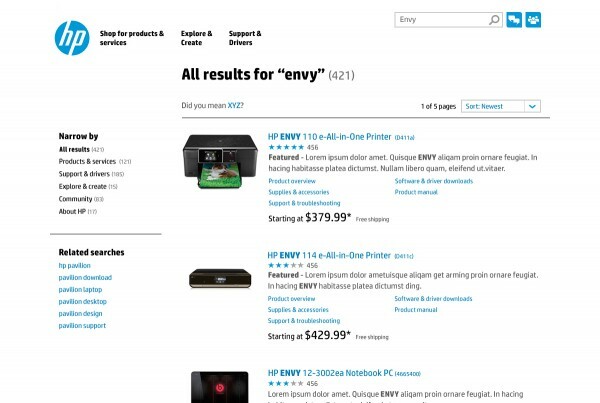 As the Visual Design Lead of this product, I helped redefining the complex search experience at HP to improve usability and KPIs. Collaborating with user experience designer, we went through phases of iterative design with improvements from user research. 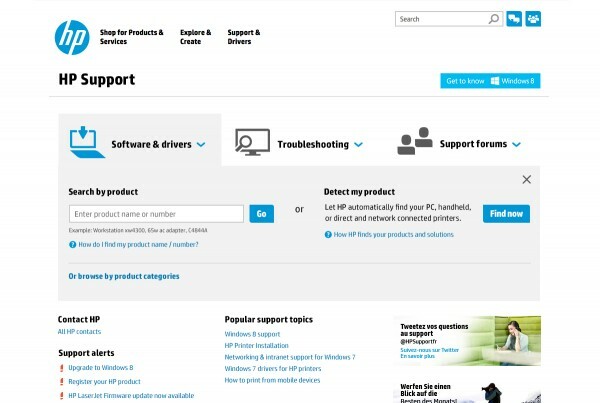 I led the project of redesigning HP.com Support. The goals of this redesign included usability improvement and branded visual look and feel. 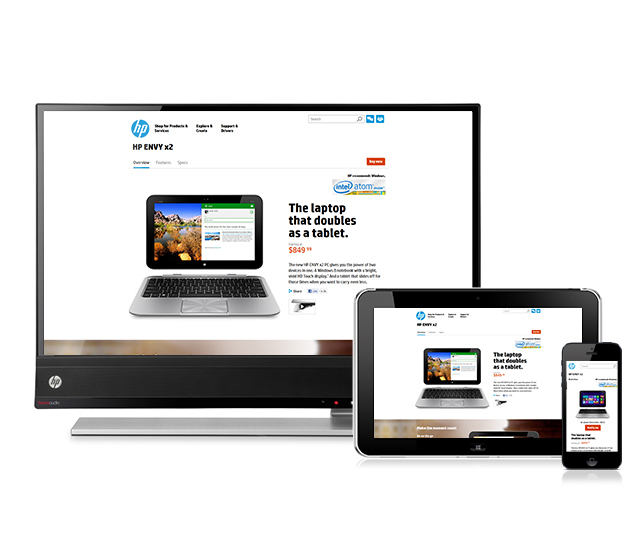 In the process, we collected customer feedback, conducted extensive user testing, and aligned look and feel with the new HP brand. 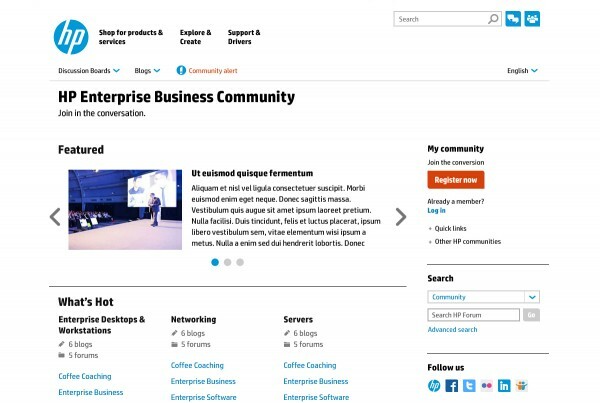 I had the pleasure of leading the redesign of the massive communities across HP digital ecosystem, moving communities from various platforms into one. Closely collaborated with user experience lead, we defined different type of user needs across different communities. By applying a set of community templates, HP communities can adapt consistent visual languages and spoke as one HP voice.